Durable. Dependable. Capable: The Polaris RANGER is one of the bestselling utility side-by-sides across the globe and has earned its reputation as the ultimate utility vehicle. To showcase the versatility of the RANGER and the diversity of its customers, Polaris have embarked on a journey across Europe, Middle East and Africa to discover and film how customers are using the Polaris RANGER in their day-to-day lives. The initiative, called Ranger Stories, is set to demonstrate the many ways in which the RANGER line-up is servicing customer lives worldwide, over and above utility use. For any film company, having the right filming equipment and expertise is crucial to get the perfect shot, regardless of whether it’s on a film set, for live-action TV or a commercial video – something that professional filming company, HS-DynaX5 Cam Solutions, is well aware of. 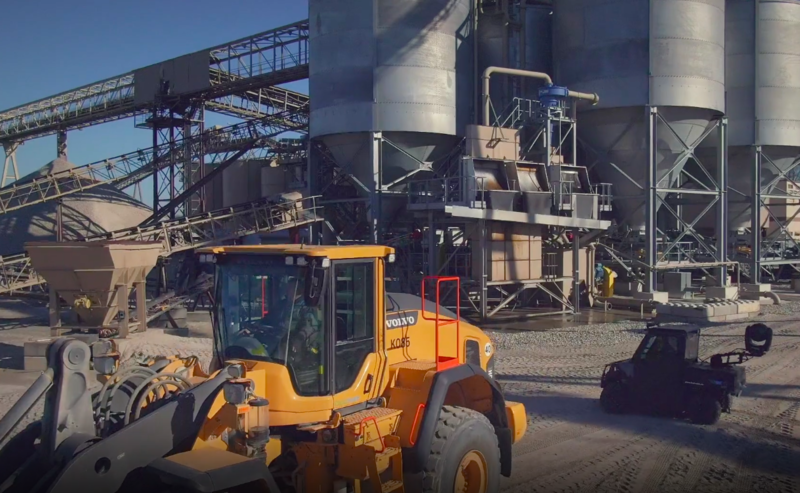 The third instalment of Ranger Stories visits HS-DynaX5 Cam Solutions whilst filming at a quarry in Germany. 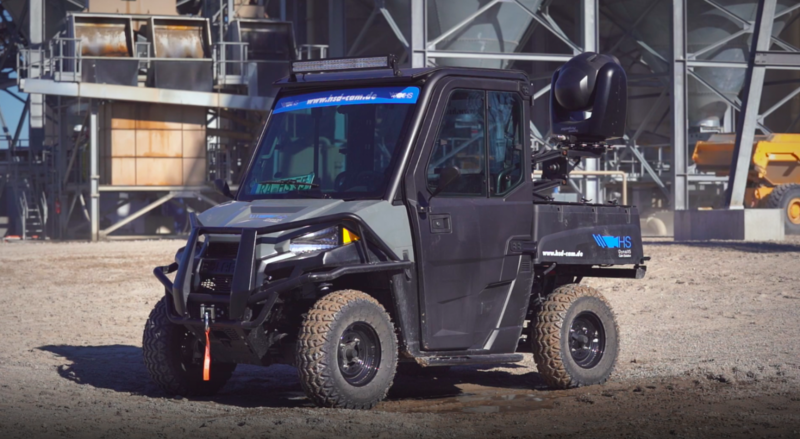 The company invested in a RANGER EV to support their special camera technology in a number of filming situations that no other vehicle would be suitable for. The managing director, Reiner Ellwanger, is well-versed in specialised camera equipment to capture the perfect image in any situation. Reiner developed a five-axes gyro-stabilisation camera system that the company use to produce first-class imagery, from running the camera along a zip-line to follow ski-flyers, filming from the bottom of a helicopter at large-scale events, or even following athletes up-close and personal from the back of a RANGER EV at sporting events. Being completely electric, the RANGER EV ensures discreet filming – where engine noise would usually cause a nuisance whilst filming, with the RANGER EV this simply isn’t a problem, and without any exhaust fumes, it’s the perfect vehicle to use in confined spaces or inside. For sporting events like motocross racing at dirt tracks, horse racing at race courses and cross-country marathons, the RANGER EV offers off-road capabilities to follow the action on any terrain, paired with smooth, independent suspension for stable filming. Not only that, the RANGER EV features VersaTrac turf mode that unlocks the rear differential for easier, tighter turns that avoid tearing up the client’s grass. 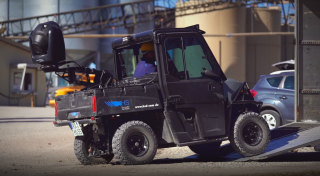 With its small 72-inch wheelbase and nimble handling, the RANGER EV can access tight spaces on a small film set. Catch the third episode of RANGER Stories in Germany across Polaris Off-Road social media channels, or watch and download the video here.